Jimmy Marr, who died on 29 March, aged 90, was born in Guernsey and was a great-grandson of Jabez Sackett (1840–1925) who had moved to the island from Kent and then Yorkshire in about 1890. Jimmy was a highly regarded schoolmaster in London but his passion remained his island home, in particular its rich history, of which he was an acknowledged expert. 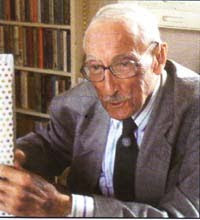 He wrote extensively on island topics. Foremost amongst his publications was his History of Guernsey, regarded as the definitive work on the subject. His biographical sketch includes a detailed obituary. Tom Smith has been chosen by the new TSFA committee to serve as president for the year 2009/10. Tom was a founder member of the Association and was active on Sackett-L for some years before that. He regularly attends reunions and is also administrator of the Sackett DNA project. He was vice president last year. Other officers for this year are Michelle Marolis, vice president; Chris Sackett, secretary; and Sandy Berry, registrar. I’ve just been reading the story about Sacketts Hill House and found it very interesting. I own the grand piano that is shown in the pictures. It was owned by Mr Lockyer, bought when he got married in about 1911 from the Army and Navy Stores in London for £50. It is nice to see it as it was back in situ up to 1935. 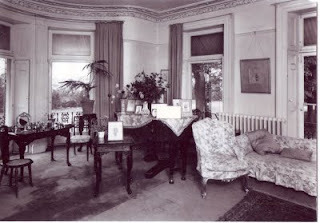 I have the photogragh of the sitting room showing the piano. Apparently, Mr Lockyer was a musician who also sang. Now that I know its history, I will take great care of the instrument. Again, many thanks for your site and its information. Voting in this year's election of members to TSFA Committee closed on 30 April. The election was uncontested, there being a full quota of 12 candidates for the 12 seats. Election of these candidates has been endorsed by the votes in favor of 36 members of the Association. There were no votes against. The new Committee comprises: Class of 2010 (to serve for one year) Thomas Smith, Glenna Hertzler, John Sackett, Darlene Sackett; Class of 2011 (to serve for two years) Jean Carpenter, Debbie Barbee, Sandy Berry, Kari Roehl; Class of 2012 (to serve for three years.) Chris Sackett, Michelle Marolis, Patti Hobbs, Kathryn James. The Sackett Family Association has won second place in the websites category of the Guild of One-Name Studies publication awards 2009.